Jim Mack has joined the Ashly Audio team in Webster, NY, as CEO. 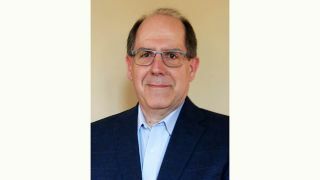 He will help expand business in existing markets and forge paths into new markets that leverage Ashly’s history of building affordable, high-quality amplifiers, signal processors, and user interfaces. Mack will report directly to Marty Szpiro, president and CEO of Jam Industries, Ashly’s parent company. Mack began his career in the mid-1980s as a sales rep for Sound Marketing, a position he held for a decade before transitioning to management-level positions in Alesis (VP of sales and marketing), TASCAM (general manager), SaneWave (VP of sales and business development), and TEAC America (executive vice president). In addition, he served as CEO at PreSonus for seven years. “With the full backing and blessing of Jam Industries, I’m looking forward to growing Ashly by taking it in new directions and by growing its share in existing markets,” Mack said. “Jam is one of the best companies in the industry and has an excellent record of finding great people and then stepping back to let them do what they do well. Ashly has a great brand. It’s one of the old, iconic brands that has held strong for decades. Indeed, Ashly’s stable, passionate, and talented team was a big draw for me. They’ve done fabulous things with the company, and I’ll add to their strengths, not change them. I’m especially excited to work with Mark [Wentling], whom I’ve known for a while.” Wentling will remain as Ashly’s president.